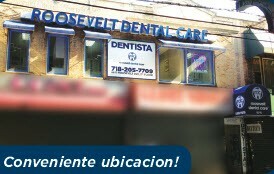 Roosevelt Dental Care I is a Jackson Heights dentist located at 82-15 Roosevelt Ave Jackson Heights, NY 11372. Our dental professionals offer a wide array of family dentistry and professional dental care services to patients in Jackson Heights, Queens, Corona, Long Island, East Elmhurst, Astoria, Flushing, Brooklyn, Forest Hills, Nassau, and the greater New York City Metropolitan area. Below you will find some photos of our office, for more information please call 718-205-7709 or request an appointment online.